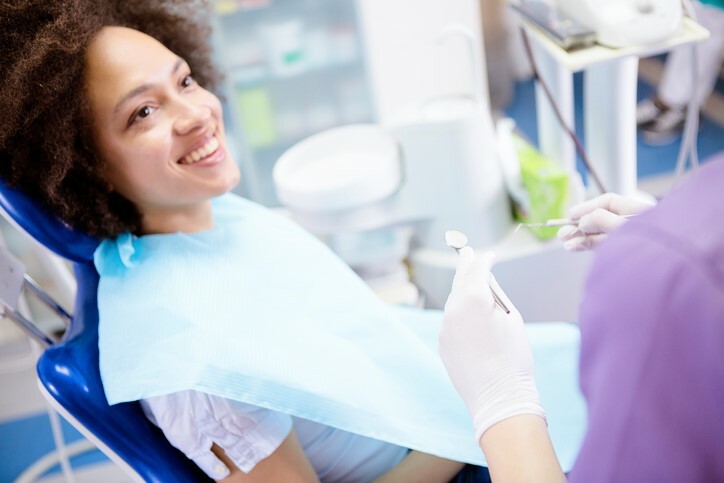 Whether you are starting with a brand new practice or returning to the dentist’s chair after some time away, here are a few tips for making your next dental check-up a win-win for everyone with periodontists in Orlando. Before worrying about the cost associated with your dental treatment, give the front office a call. Not only will you ensure that your provider accepts your insurance, but you can get a good estimate of your out-of-pocket expenses. You might even be eligible for an extended payment plan. Another thing to consider: If new patient forms are available online, you can begin any paperwork at home, saving you time on the day of your first appointment. You might think that if a medical condition doesn’t affect your mouth, the information is not worth sharing with your dental specialist. In reality, there are plenty of non-tooth-related conditions that would be important for your dentist to know about, including a history of diabetes or existing pregnancy – both can put you at higher risk for gum disease. You will also want to relay any allergies or sensitivities you might have as well as any current medications you are taking (both over-the-counter and prescribed). This information will help the dental staff determine the best course of treatment. In addition, you should be forthcoming about important lifestyle information like drinking and smoking, as both can affect the overall appearance and health of your teeth. Going to the dentist should be a pleasant experience. According to data from the CDC, about one third of Americans aged 18 and up did not visit a dentist in the prior year. If you have ever had an uncomfortable cavity or root infection, you might not be anxious to make a dental appointment any time soon. Unfortunately, the longer you wait between visits, the higher the likelihood for gum disease and other painful dental conditions to develop. The truth is that the pain associated with many common tooth and gum conditions can be quickly relieved with just one visit to a dentist or oral health specialist. A good provider will take your worries into consideration and answer questions before starting any procedures. Don’t forget to schedule your next appointment. When it comes to your dental health, be proactive. If you wait until there is an issue, your teeth and gums are already at risk of more serious conditions. Once the gums become infected due to a build-up of plaque and tartar in and around the teeth, there’s a higher chance of developing gingivitis or more advanced stages of periodontal disease. Certain populations have an increased risk of gum disease and should take extra precautions. The good news is that most dental conditions, including gum disease, can be prevented or even reversed by following these tips for good oral hygiene and scheduling regular dental appointments. For a consultation with some of the most experienced periodontists in Oralndo, contact the friendly and experienced staff at Central Florida Periodontics and Implantology today.